Now that Major General Muhammadu Buhari (rtd) has been chosen by the Nigerian people, it is my duty as a patriotic Nigerian to help him succeed even though my candidate was President Goodluck Jonathan, a man to whom I will always be loyal and appreciative. General Buhari is about to mount the saddle and I for one am in a very good position to tell him some home truths because as a senator-elect, I have a very fulfilling job awaiting me and I do not need a job or favours from Buhari so I do not have to play nice. Looking at the personalities he has appointed to his transition council, I am wont to believe that General Buhari needs to expand his circle of friends and advisers. As a military strategist, the president-elect must be familiar with the principle that the people you use in subduing an opponent are not necessarily the same persons you will need in rebuilding the territories you took. I may be using military terms, but I am sure General Buhari is aware that politics is war by other means and therefore many of the rules of war and peace apply to politics. The General will be best served if he thinks of what is best for Nigeria rather than what is best for his party, the All Progressive Congress (APC), and its chieftains. He must remember that in Nigeria’s subjective politics, it was his person that the people voted for not his party and he should therefore serve the people the dish they are angling for. And what are the expectations of Nigerians from General Buhari? Definitely not business as usual. The president-elect ran on a promise of change and while that change was not really defined by its chanters, Nigerians defined it as a change in their situation. To borrow from the famously potent prayers of Mountain of Fire and Miracle members, the Nigerian masses defined change as a situation where wealth and power must change hands from the elite to the masses by fire by force and they see General Buhari as the enforcer angel that will bring about this change. With this type of expectation, Buhari’s honeymoon period with Nigerians will not last very long if he does not take drastic steps to adjust Nigeria’s economy to the realities of falling oil prices and a dearth of buyers for the Bonny Light Sweet Crude. To put things into perspective, when the United States started buying less and less of Nigeria’s oil, we looked to China as an alternative buyer of oil but it has since come to light that whereas America spent $101 billion on clean energy between 2012-13, China spent $125 billion within the same time frame. The above data should alert Nigeria and other nations that look to China for oil markets to the fact that China is even ahead of the West in the search for alternative to fossil fuels as a source of energy. Buhari may wish he did not win the 2015 elections when the reality of our economic situation sets in. In his December 2014 Channels Television interview, Buhari said he was going to “stabilise the oil market”. The General will learn soon enough that today’s oil market is a buyers’ market. And the General’s choices are limited because he cannot (unless he is extraordinarily brave and politically callous) do the obvious and sack civil servants. Yes, he will eventually have to reduce the over bloated federal civil service, but before he can do that, he has to build up political capital by reducing the overhead of the Executive and persuade the Legislature to follow suit. Austerity measures must start from Aso Rock. This means that luxurious multi car convoys must be reduced. The presidential air fleet has to go, by way of being auctioned off or sold to local airlines. Estacode allowances must be slashed and the president’s entourages should be lean while non-essential foreign travels should be banned. The president-elect should not underestimate the big difference these small changes can make and their capacity to buy him enough credibility with the labour unions, the kind of credibility that will see them accepting cuts in the federal workforce and reduction in pay and entitlements. A small change like flying commercial instead of by private jet saved Britain a whopping £200,000 when the thrifty British Prime Minister, David Cameron, flew to America to meet President Barack Obama on a regular BA flight. Nigeria is in for very desperate times if we do not tighten our belts while our major foreign exchange earner is facing global challenges. Russia, a nation that many will say is more prepared than Nigeria for the shocks occasioned by the drop in the price of oil devalued its currency by 11 per cent in just one day. While Russia is taking these steps, the world is watching to see if Nigeria will continue to spend hundreds of billions annually sponsoring its elite on pilgrimages to Mecca and Jerusalem. I mean, no economist will get why a nation with over 60 per cent of its people living in poverty at the best of times, will spend almost 1 per cent of its annual budget sponsoring pilgrimages for its elite who can afford to go to the Holy Land on their own dime. I for one do not get it. A pilgrimage is meant to be a sacrifice of a believer. How is a pilgrimage still a sacrifice when someone pays for you to go? The Nigerian government is sending people on holidays not pilgrimages! I daresay that the money being spent by the Nigerian government to airlift pilgrims to both Holy Lands is enough to educate all the almajiri in Northern Nigeria. Wouldn’t God and humanity be better served if we looked after the less privileged in our midst? General Buhari has his work cut out for him and he does not have time to be bitter about who said what, when and where. He must let go of any desire to pay any of his traducers back whether they be from the last 16 years or as far back as 1985. Four years is only enough time to fix Nigeria. Any time spent on other ventures is time taken from this most important of assignments. And let me say that General Buhari should not allow himself to be pigeon holed by people who dangle ideologies instead of realities. Yes, the APC may have styled itself as a progressive party, which in itself is a contradiction because Buhari is a conservative, but Buhari should not bother about that. And it is fitting for me to end with a mention of Xiaoping. No other contemporary world leader, in my opinion, closely mirrors Buhari as does Xiaoping. In 1966, Xiaoping was dethroned from his powerful party positions by loyalists of Chairman Mao as was Buhari in 1985 by loyalists of his Chief of Army staff. Xiaoping suffered house arrest, loss of earned privileges and was consigned to political limbo for almost a decade as was Buhari. But then Xiaoping bounced back into favour and became China’s leader in 1976 and thereafter jettisoned his life long belief in Mao’s Cultural Revolution and introduced the “one country, two systems” policy that allowed communism and capitalism to coexist in China. This is similar to Buhari’s conversion from an anti-democrat who believed power flowed from the barrel of a gun to a democrat who accepted democracy as the best form of governance and capitalism as the natural economic policy of a democracy. But this is where Buhari has to learn from Xiaoping. Xiaoping refused to demonise Chairman Mao, his predecessor who had purged him from power and placed him under house arrest after stripping him off his privileges. Instead of bitterness, Xiaoping believed that Mao’s “accomplishments must be considered before his mistakes”. This is how Buhari must treat his predecessors. He must not demonise everything that was done by previous administrations and mark those who served in those government as persona non grata. He must take the bitter with the sweet and make use of the best brains Nigeria has to offer, for as he said on December 31st, 1983, “This generation of Nigerians and indeed future generations have no other country than Nigeria”. That is great. Talking like Barack Obama. Buhari certainly needs such kind of advicers.keep it up. But I adviced Ben Bruce should begin by passing a motion on his first meeting at NASS by volunteering a reduction on cost of all NASS and himself saying he would not accept that big salary and allowancee. The Allowances of NASS is reduced can save Nigeria a lot and the poverty laden Nigerian dying in versus cycle. All those from the Most affected Boko Haram states in the North to lead by example. Their election this time around is not business as usual. But great sacrifice to their people and those who died lost love ones during all these trying momemt.In Allah almighty we believe and rest our hope for new dawn in Nigeria. Good thought coming from the very wonderful senator. I’m only asking : Was it that Jonathan could not be reached by Ben Bruce the past 6 years? All these pieces of advice could have done more good to Jonathan than Buhari. Buhari is wise enough and I believe he has the opportunity to do right. Those who want others to do something right must also strive to do things better. People of the South South geopolitical zone could not deploy their brains to help their brother who was helpless trying to fix things for the country. Where were the likes of Ben Bruce during the administration of Jonathan? Why couldn’t they speak up? Well said bro! We also look forward to you to deliver in your able capacity. Senator – Elect Bruce – Congratulations on your election as a Senator of the Federal Republic. I admire you for standing up for change especially at this time that Nigeria is undergoing one. I was equally impressed and moved by your famous speech about change in the forthcoming 8th senate of which you will be an integral part. However, Nigerians, including myself are eager to know if the same advice was given to former President GEJ, a person you were close to? Most of the stated issues about governance were very apparent during the past regime and despite voices of reason like yours at this time, there was no apparent action on the part of the former administration to check those excesses. Beautiful piece I must say. Howbeit, I slightly differ on the concluding part. While I don’t object to seeing your opponent’s achievements sbove his mistakes, I don’t believe thier mistakes, especially where it involves our ‘collective funds ‘ as a nation, should be treated with levity. PMB should not leave them with impunity. I hear someone says ‘evil thrive when righteous people fold their hands and do nothing ‘. It’s high time we began to correlate our words with our actions and stop speaking from both sides of the mouth. I believe PMB ought to make a statement now concerning corruption by ensuring looted funds by our past leaders are returned to the treasury. In addition, anyone found wanton should be stripped of any immunity. This will serve as a deterrent to others that it is no longer business as usual. At this time, I must laud the leadership example of PMB in choosing to fly economy rather than first class. I believe law makers and other top government functionaries should follow suit as only a tree does not make a forest. Permit me to add this Yoruba adage that says “agbajo owo la fin soya, owo kan o gberu dori’ simply meaning ‘our change-in-view is our collective efforts’, we all need to contribute our own little quota and I believe I’m contributing mine. Lastly, I’ll like to lend a voice concerning the ‘over-bloated’ budget of our legislators. I have always surmised that their overall take home pay should be a percentage reflection of the minimum wage and this should be pegged at a seal i.e, not more than a certain limit. This to me, will go a long way to curb corruption and make the office less-desirable. In essence, only those who have something to offer will seek such offices in the future and not those who want to take their own share of the national cake as is commonly said. My parting shot is that corruption cannot thrive where there’s nothing to steal – my advice : block all loopholes. GOD bless Nigeria, GOD bless all other well-meaning Nigerians! 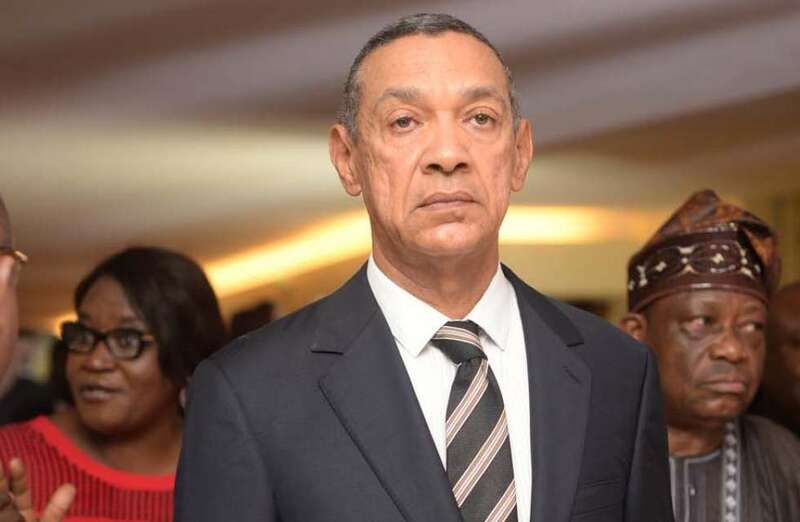 “even though my candidate was President Goodluck Jonathan, a man to whom I will always be loyal and appreciative.” One would expect that Ben Bruce would have offered Jonathan these pieces of advice while he was president. I believe anyone that’s still loyal to the last administration is not just being honest. If Ben Believes Nigeria had all these issues under Jonathan, then his loyalty to him must be on personal grounds and not national issues. The truth is that all what Ben is proffering and much more are on PMBs action list already. With or without people like Ben Bruce, PMB is focused and bound to succeed. My Dear Senator, Ben Murray Bruce, l thank you for your of advice to.PMB. Pls sir, kindly keep it up. Have you prayed for Nigeria Today? This morning it got me thinking how a lot of people consider politics to be a dirty game. I will concede that politics is indeed a game, a game no different from the game of Chess, Monopoly, Football etc. but not necessarily a dirty one. Politics is the conscious effort of getting involved in the government of a country/society, directly (i.e. voting or be voted for in elections) or indirectly (influencing governmental policies). By conscious effort I mean there must be a deliberate attempt on the part of the citizenry to get involve actively or passively in the governmental structures of a country or society. It lies within our supreme effort of will to sculpt a better and desirable society. Believe or not, the country is what it is today because the citizens are what they are; and the citizens are what they are today because of the information they have received. This is a call to service to all citizen of our beloved country, to all proud and confident citizen of our enviable motherland called Nigeria, to brace up and take giant strides that will last a lifetime not just because one of the penalties of not getting involved in politics is that you happen to be ruled by your inferiors but because it’s the right and ultimate thing to be done. No man is good enough to govern another man without that other’s consent. I hold this truth as self-evident: some circumstances may be beyond the control of man but his conduct is in his power. There are times we may feel powerless to prevent injustice but there should never be a time when we failed to protest. The art of governing must be chiefly prioritize; for it is in her glory shall we find glory. Thank Sen. Ben Murray Bruce. I have been thinking, that because I was not a politician, government official or one of those whose names are highlight in Forbes magazine, my opinion and suggestions towards the betterment of the Nigerian economy was of no value and made no sense but finally since i could not air these views I see the rise of a true Nigerian who is a part of the rich class think and air these views as common sense. I am finally grateful to you for making me realize I was never a fool either and for airing your views never minding the consequences. The common sense revolution is the voice of the President I want to see in 2019. I wish you cam make the effort to present yourself as one because you are the hope of many Nigerians already. I wish to have the single opportunity to show you a portfolio of my work towards a better Nigeria. I will be willing to sell off a give away a few of them if I get the promise that it can made a reality one day. I am a young Nigerian that don’t need a job because I have been able to create jobs for myself but I only need an opportunity to make Nigeria proud with my inventions and innovations even if I’m not paid for doing so. God bless you Sen. Ben Bruce.